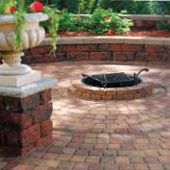 Pavers & More | Pavers, Retaining Walls, Patios Blocks and More! Pavers & More has been helping the do-it-yourselfers design, purchase, and implement their landscape projects. Consider Pavers & More for your do-it-yourself landscaping projects and visit our outdoor showroom located just north of Interstate 80 on Route 23. Your home is where your heart is, and here at Pavers & More, our work is where our heart is. Pavers & More started on a barren piece of ground on Route 23 in April 1999. It was a dream of ours after Wolohan Lumber closed their stores. 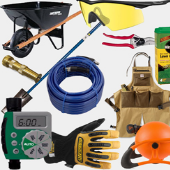 I felt there was a need for a store that sells quality landscaping products and is focused on customer service. 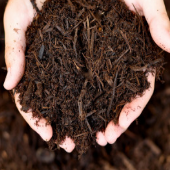 I have been involved in the landscape industry for just over 40 years and have a vast amount of knowledge. If I don’t know the answer I have contacts to get the correct one. Read more about us. We Sell Unilock For A Reason! 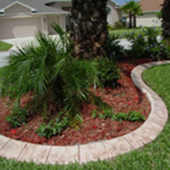 For the past 40 years Unilock has been committed to investing in the future of landscape design. Today, Unilock continues to lead the industry in style and technology. They have made that commitment because at Unilock, they feel your outdoor space should be designed to connect with your home. So, it’s no surprise more families are choosing to work with architects, designers and craftsman who recommend products from Unilock's line of unsurpassed pavers.